Loch Melfort Hotel is a unique 3 star Country House Hotel in a most amazing setting by the coast of Argyll with a view to the Sound of Jura and the Inner Hebrides beyond. 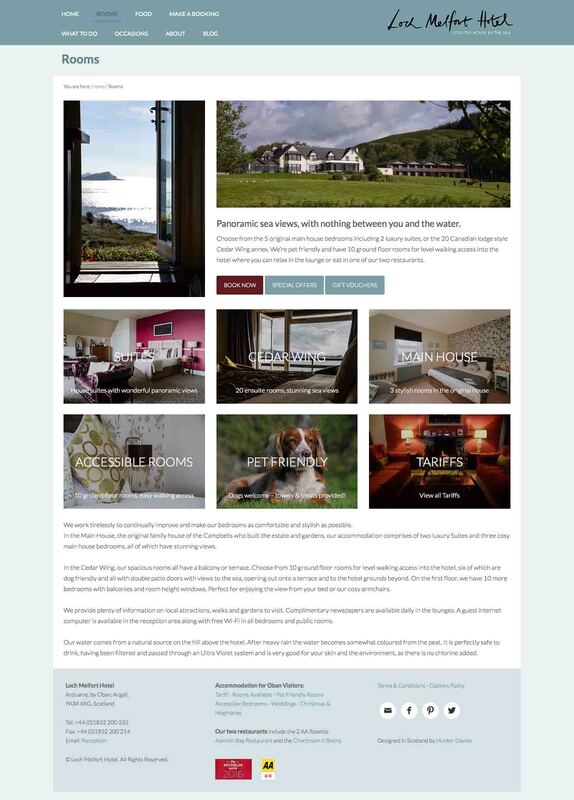 We were approached by the owners to deliver a rebrand of their business and to build up the already excellent reputation of the hotel across a variety of new and existing platforms. The project involved the design of a new logo, stationery, hotel signage, banners and advertisements, as well as photography, blogging, social media account management and developing a brand new website. Our in-house photography team extensively photographed the hotel, interiors, food and some of the surrounding area, building up a vast image bank for both website and marketing purposes. Local photographer Bill Bailey also provided photography and continues to do so, creating a vast bank of images for ongoing digital marketing purposes. The logo was designed to represent the bespoke, personalised and intimate feel of the hotel and the service provided. The use of handwriting reflected this approach together with the choice of a muted blue, mirroring the seascape and giving the logo both a strong identity and relaxing effect. This strong identity has been carried forward throughout the rebranding of the hotel. 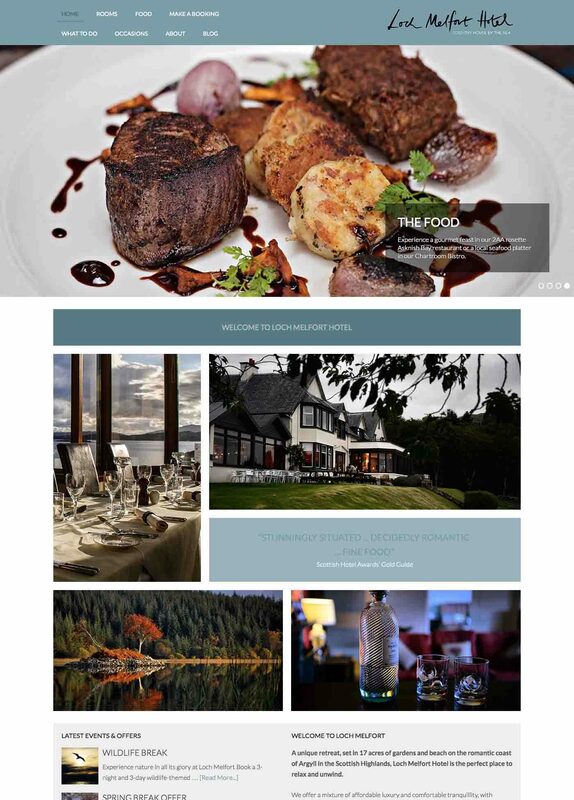 In order to test the new branding and get the word out to a new audience, a pop-up blog site linked to the existing website was built to develop awareness of the new brand and of the hotel as a destination on the West Coast. Blog articles are added regularly and the blog has received a warm response from the public alongside an increase in traffic to the site. We designed a fully mobile responsive website featuring beautiful imagery and punchy text. The theme used allowed us to display images in a photographic grid giving each image its own space and allowing room for eye catching text. The overall website is packed full of information but remains simple to browse, with streamlined and easy-to-read content. The blog page was carried over to the new site and is regularly updated with new weekly posts. Another aspect of the project was the management of the hotel and restaurant’s social media profiles, including Facebook and Twitter. 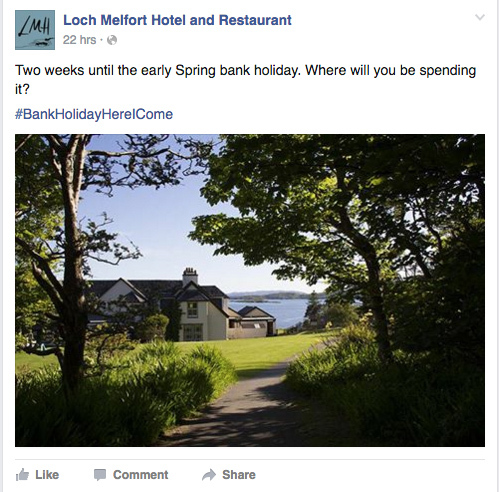 Featuring a specific social media logo, digital marketing is ongoing and is based upon informing and communicating with guests and followers, as well as reminding browsers of the food, activities, views and relaxation available at Loch Melfort and around Argyll. The use of strong imagery and photography has been critical in building up a strong social media profile. 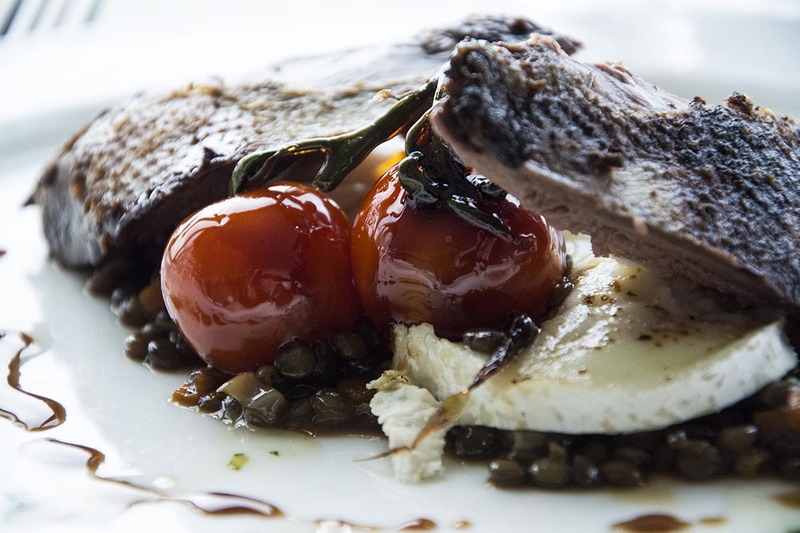 This is also a great platform to advertise the hotel restaurant’s beautiful dishes, with weekly food and wine messages.